Canggu is an old small village located on the west coast of Bali. The region has long attracted many expatriates who have chosen to move to Bali. The daily atmosphere is more pleasant than in the trendy districts of Kuta or Seminyak. The properties are built in the middle of rice fields, which characterize much of the Balinese hinterland. The beaches of Canggu are made up of black sand, which makes it a place little frequented by tourists. However these beaches represent some of excellent spot for surfers from all over the world. The Indonesian real-estate market is flourishing and attracts a lot of foreign investors. Thanks to an important purchasing power for European in Indonesia, an easy home ownership, very high rental returns, minimum taxes, a nice quality of life and an attractive cost of living, Indonesia is one of the perfect places to invest. From November to April, it is the wet season, which is characterized by hot and humid climates. Temperatures easily reach 32 degrees, with high moisture (75%). 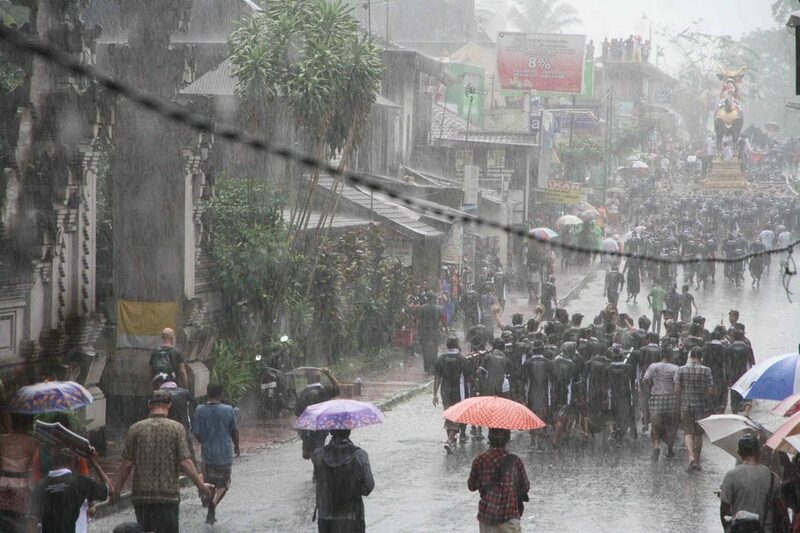 Rains are heavier from December to February. The dry season takes place from May to October. There is a mild climate with nice temperatures (around 27 degrees). Even during the dry season, the weather can be rainy but that's short duration rainfalls which are mainly at the end of the day. The perfect period to visit Bali corresponds to the months of May, June and September in order to enjoy less crowded places with a nice weather and temperatures. 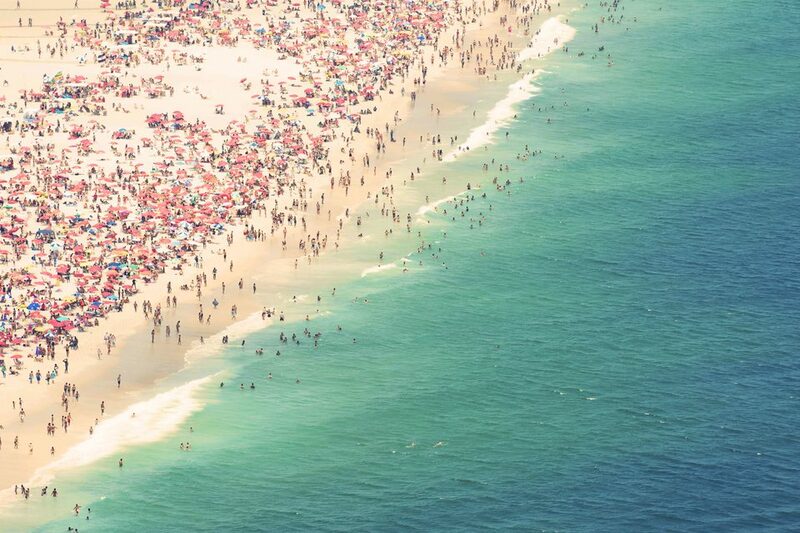 The months of June and July correspond to peak tourist affluences. Tourist resorts are taken by storm, prices are at their highest and places are crowded. However, visitors enjoy a perfect sunny weather during this mild and dry month. 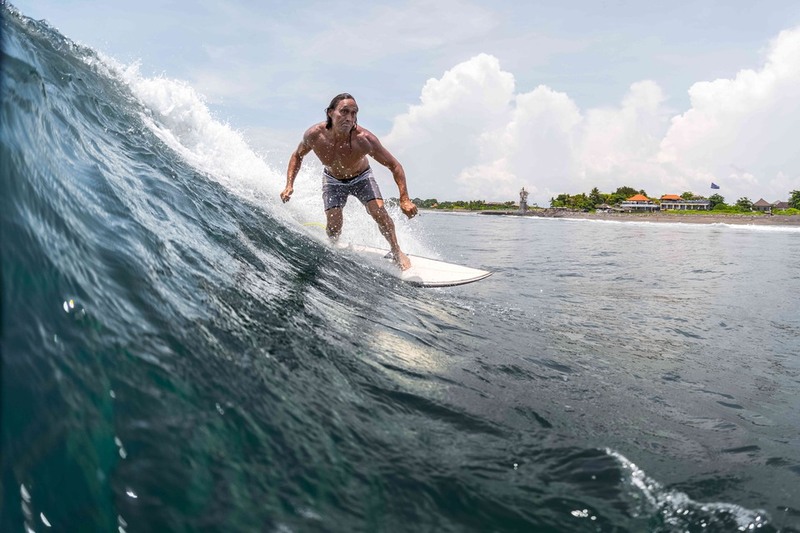 The Canggu Club is a sports complex that has developed in Canggu area. There are many facilities including a water park, a bowling alley, a children's center, a fitness center, a SPA and a trampoline center. The club was born following requests from many expatriates looking for a private and quality sports complex. Initially reserve for members, the club finally opened its doors to the general public and has become today, an ideal place to have fun and to spend, with family or friends. Berawa Beach is one of Canggu's best beaches. It is very uncrowded by tourists looking for white sands because the sand is black gray. However, this is a real advantage for people in search of tranquility. It is an ideal place to come to admire the beautiful sunsets. Moreover, Berawa Beach is very popular beach for surfers reputed for its calm. Even if the reefs are rocky, they allow the waves to be of high quality and thus offer excellent sensation. 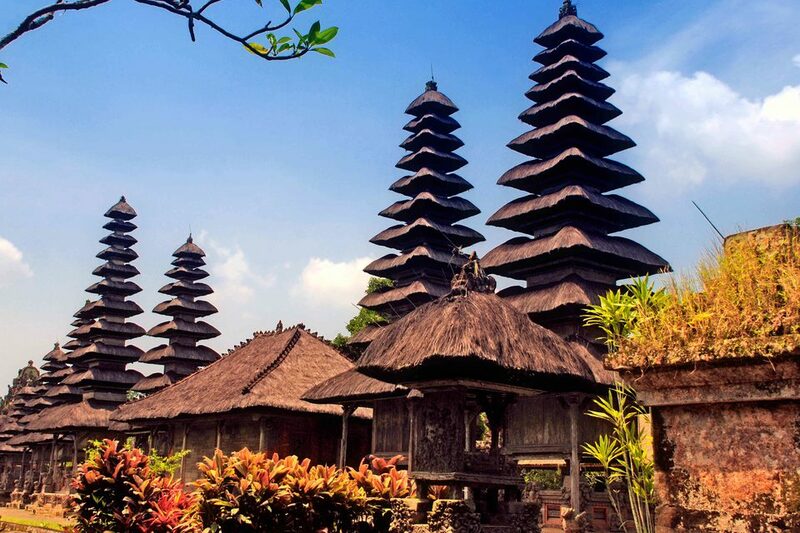 Taman Ayun Temple is a Royal temple, one of the most important in Bali. Dating from 1634, its name means "Garden of the temple in the water". It is also built along a river. This temple has magnificent traditional architectural features. In addition, it is surrounded by gardens and fish ponds. It represents the mythological home of the Balinese Gods and its main function remains to protect the islands of evil spirits. The discovery of this temple plunges visitors into the sacred world of Balinese culture and traditions. Bali, also known as the "Island of the Gods" is a corner of paradise like no other on earth. 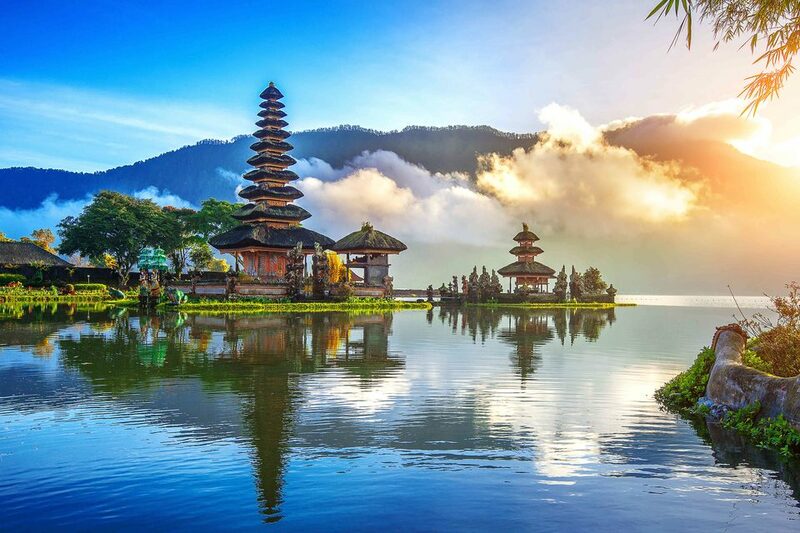 Situated in the Indonesian archipelago, the Island of Bali is considered as one of the most enchanting travel and holiday destination all around the world. This dynamic place has succeeded in maintaining its uniqueness and magic over the years thanks to its white sandy beaches, countless waves, gorgeous natural sites as well as its colourful ceremonies, its welcoming communities and their stunning culture. The very bright living room offers a beautiful view of the pool. The 2 bedrooms are very spacious, with their own bathroom and a large dressing room. 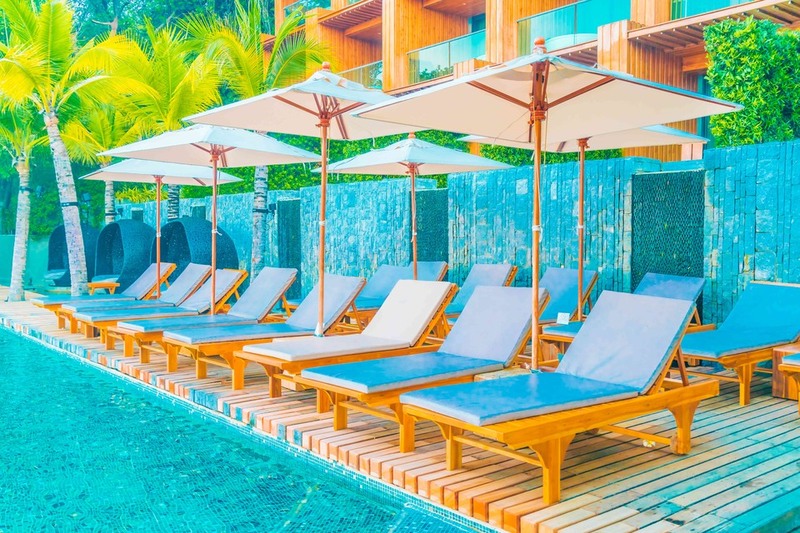 Relax on the terrace by the pool to enjoy the mild Balinese climate. The property is fully furnished with quality furniture, the living room is very bright and tastefully decorated. The 4 bedrooms have their own bathroom for your comfort. The garden has a beautiful swimming pool to refresh and a pleasant terrace to admire the rice fields as far as the eye can see. Each room is furnished with care, with quality products and wooden furniture. The 3 spacious bedrooms have their own bathroom for comfort. Enjoy Balinese warmth in the large flower garden by the pool and share a dinner with friends on the large wooden deck. The house is fully furnished in a modern style with quality products. The 4 very spacious rooms have their own bathroom for more independence. The garden of 950m2 is perfect to rest on the lawn, at the edge of the large swimming pool or in the jacuzzi. Beautiful 3 bedroom villa with pool, tropical garden and private parking in a quiet environment, ideally located 10 minutes from Echo Beach, 5 minutes from Canggu, and 15 minutes from Seminyak. The 2 bedrooms have a large bay window overlooking the flower garden, they also share a large bathroom. The pool is perfect for cooling off after a long day in the Balinese heat. The 4 bedrooms are carefully decorated, each with a large bathroom and a terrace. A large pool and wide terrace are ideal for relaxing. Seminyak offers a wide choice of restaurants for all tastes, bars, clubs, great shops and pretty beaches to relax. The villa is also close to the Lycée Français and the Australian school.